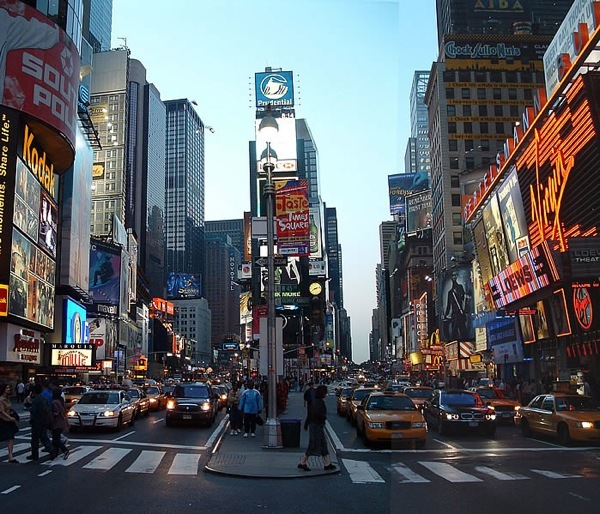 Times Square is perhaps one of the best known locations in the world. Sat in the middle of Manhattan in New York City, Times Square is a giant light show that advertises everything from Coca Cola to the latest Broadway hits, TV shows to the latest in designer brands. Now imagine if Times Square was transformed from a hub of advertisements into a gallery of art? That would be brilliant! While many of us may sit and just imagine what that would be like, some people, like Justus Bruns, spring into action and try to make it happen. Bruns is the 22-year old creator of the nonprofit, Times Square to Art Square (TS2AS); a project which aims to turn all of the billboards in Times Square into a display of art for just one day. Using the power of social media to build up momentum for the project, Bruns set an aim of raising $10,000 by Autumn 2012. One of the ways in which TS2AS is raising money is through a creative funding platform called Kickstarter. Here, you can submit your project, with a financial goal, and then solicit pledges to make that goal come true. Currently, the project has raised $4,351 from 106 backers, and there are 4 days left to go on that particular money raising campaign. You can also donate directly on the TS2AS website. While the project is certainly inspirational, there has been criticism that, in fact, it would cost $24million to buyout the advertising in Times Square for just one day. Therefore the target of $10,000 is no where near enough to make an impact on one of the most lucrative advertising spaces in the world. However, to clarify - the idea is not to buyout the advertising for a day. The above, million-dollar figure probably goes a long way to explaining why that is not the goal. The money that is raised by TS2AS will be used to raise awareness of the project and get people on board. If they can get enough support, then there's the chance to get the advertises on board with project as well. If you want to see Times Square turned into an Art Square, you can make a donation to the project, or keep up with the projects progress at the TS2AS website.